Whatever your interests, Nick’s Cove offers endless opportunities for enjoying your stay with us. 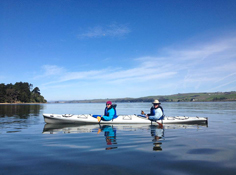 Tomales Bay is a virtual paradise for outdoor activities, indisputably the largest unspoiled coastal bay on the California coast. 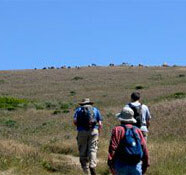 You can bike, boat, kayak, fish or hike all along Point Reyes National Seashore and Tomales Bay State Park, where you’ll encounter beautiful wildlife and pristine vistas of shoreline. The bay’s relatively shallow waters, secluded coves, and beautiful beaches make it a mecca for naturalists and outdoor enthusiasts alike. A drive down the legendary Pacific Coast Highway follows the coastline’s eastern contours, past weathered oyster farms, dairy and cattle ranches, and the charming outposts of Marshall and Marconi. Further to the west lies the beautiful town of Petaluma, full of antique shopping, and the vineyards of Sonoma county lay just beyond. Or if you prefer to stay close by, why not enjoy an in-room massage and a short stroll along the Nick’s Cove pier for a drink at the bar of our Boat House? 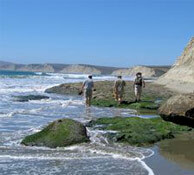 From our private beach, you might spot a blue heron or a seal. And of course, Nick’s Cove Restaurant and Oyster Bar serves wonderfully casual, delicious meals made with local farm produce and seafood. Pamper your body and spirits with our in-room massage services. Please make arrangements through the front desk.